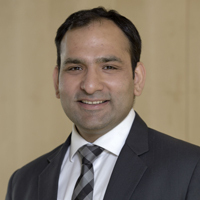 Tushar is a current Full-time MBA Student at Frankfurt School. The best memories are made with the best people. I am on my way to leadership & Strategic Thinking trip to SDA Bocconi in Milan. Even before landing in Milan, one already begins sensing the strong fashion pre-eminence of the fashion capital of Italy. The people (who I believed to be Italians) on the plane exuded confidence with their well-dressed personas, and, in return, commanded respect and resonance. Our day 1 started with an introduction to SDA Bocconi, one of the top ranked business school’s in the world, followed by a wonderful buffet lunch. I must admit, there is a humongous difference in the taste of Italy’s Italian food from the rest of the planet’s pizzas and pastas. During the latter part of the day, we had a joint case study with MIS students from Bocconi. The MIS students were also well prepared and contributed in making the discussion interesting. At the end of the session, we went together to “Exotic Restaurant and Lounge Bar”, courtesy FS. We were all surprised to see the alcohol to water ratio was very high in contrast to the norm in Germany; this instantly made all of us happy. What happened next was like in the movie “Hangover”, the details censored. Unlike the usual academic day, we started our morning by exploring the history of FIAT group in depth. We were expecting an early lunch in the class, as we had to leave for our 2 hour road trip to “Maserati”. Spending time admiring the cars was our idea of the perfect date on Valentine’s day. Maserati had been growing massively in last few years and has a strong growth forecast. The Maserati factory is semi-robotic and is following high standards of the Lean methodology; our day ended with this notion and we were driven back to Milan. Professor Leonardo Caporarello started the class with an introduction to leadership explaining typical leadership qualities. The intensive schedule containing deadlines for long and tiresome case studies made our work very challenging and exciting. We were divided into groups; and my group was very diverse in terms of professional experience. I learnt a lot from them. The day ended with two case studies and then came the most awaited part, “The Walking tour of Milan”. I can write another 10000 words on walking tour of Milan, but I will limit myself. To begin with, SDA Bocconi had arranged for 2 tour guides and we divided ourselves into 2 groups. We learnt about the history of Italy and walked around the beautiful Cathedral, the Duomo, built in Gothic style where Napoleon was crowned. Other attractions were the beautiful town square and passages as well as the Castle, a Library and a Church. Like the first two days, this day, too, started with a coffee and ended with a beer in a very quaint and exorbitant restaurant. In saying that, I may not know the bad restaurants in Milan, but I certainly know the best ones. Professor Caporarello gave another great start to the day. He had the natural ability to draw us into interesting discussions which kept us motivated throughout. We also worked on a leadership simulation test in groups. It gave us an insight into how our actions translate into leadership qualities. It was a great approach and the whole class performed exceptionally well. Following the simulation, we worked on another interesting case study which marked the end of our day. We gave our final good byes to Professor Caporarello in addition to an invitation to join FS J . Professor Gabriella Bagnato, another amazing personality, started the day with a very interesting conversation about managing teams. We also did the MBTI personality test, which would prompt us to introspect to get to know ourselves better as well as other personality types, whom we might encounter as managers, and about conflict arising due to such personality types. This test would also support us in choosing the right careers. It was very interesting to see the class being very excited and curious to know more about their personalities. We then had a short 30-minute multiple-choice test covering topics from the week both on the campus and the field trip. After that, we were handed out our course certificates and we bid our final goodbyes. The course was over, but the journey continued. To Sum up: Milan has been a great experience for all of us. During our stay, friendships grew stronger, pizza and pasta became our main course, four hours of sleep kept us going and long walks around the city never seemed to hurt. Throughout the week, we had an endless supply of a variety of croissants, cookies, tea, coffee, juices and water that refreshed and motivated us all the time. When class ended on Friday, different groups took off on various road trips. I believe that it is not just city, but it is the people who make a difference in our lives. In conclusion, I want to convey my heartfelt thanks to Frankfurt School for this opportunity; and all our professors and my classmates for making this experience a memorable one for me for all times to come.